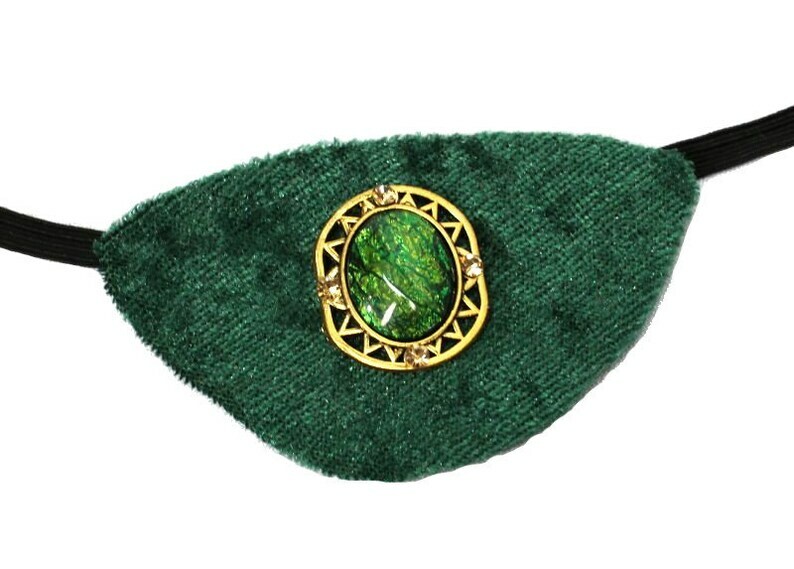 This ornate eye patch is set on pine green velvet with a beautiful faux green fire opal rhinestone jewel centerpiece. Suitable for use on either eye. Approximate Dimensions Of Patch 3" x 2 1/2"